Several months ago, I decided to sell my 71 Big-Block hot rod. I've owned the car for 31 years and done just about every mod on it myself. 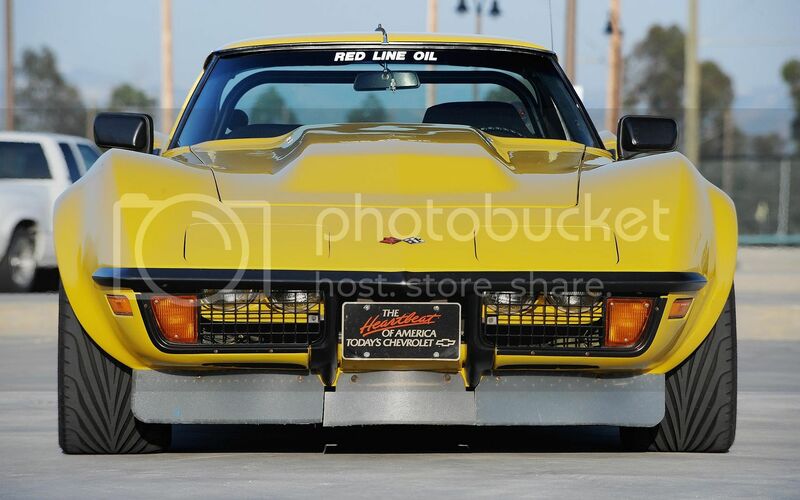 Some of you may know this as the "Big-Block from Hell" project car which was in Vette Magazine for six years from 1989 to 1996, but I've always called the car just "Yellow Thunder". Why would I think of selling something so dear to me? Well...chalk it up to a toxic combination of: the Great Recession forcing me to sell some assets for cash, that my Wife and I need some of that green for a home remodel we are just about to complete and that this remodeled home has less space to park Vettes. I took a hard look at our "fleet" of four and decided this was the one to go. But then...I couldn't sell it. I even dropped the price and still it didn't sell. Had a lot of lookers--only two of them serious--but no buyers. So I decided to hang on to the car for another year or so. In that time, I'm continuing to work on it. My big deal in the last few weeks is recalibrating the car's 850 Holley after I put a wide-band O2 sensor in the car. The data from the Auto-Meter Wide Band Air/Fuel Ratio Monitor is so much better than what I was getting from a narrow-band O2 I had in the car before that I've found some areas were retuning improves performance, drivability and gas mileage. I also recovered the seats. Fixed a small trans leak. Fixed small leaks at the header collectors. I dunno....maybe new soft trim in the interior or maybe an engine freshen-up. In any event, old YT, is off sale and back on the road. 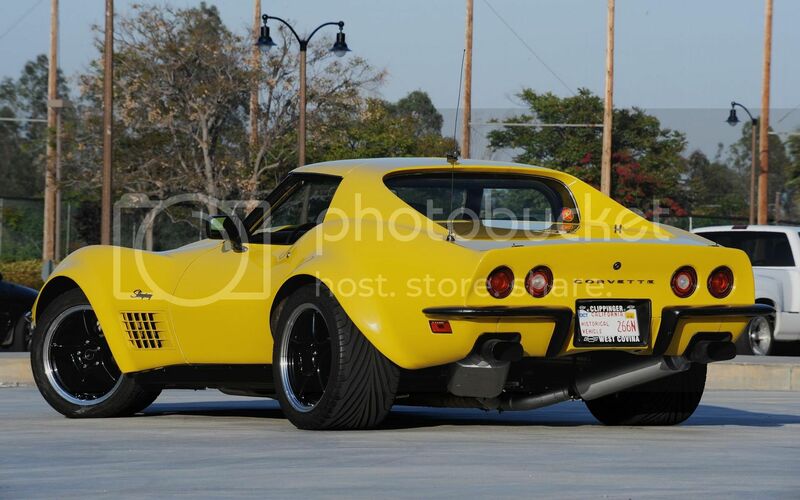 Damn,If I'd owned and modded that car for 31 years,Damned if I could sell it!! I won't kid ya...it was a very tough decision, but we all have our crosses to bear. Hope it goes to a good home that appreciates it as the great car it is. I enjoyed reading the magazine articles back when you were building it. Still have the one where you were grilling some late night tube steaks. Great car! You'll miss it, I'm sure. My Wife, the Fairest Sandra the Red, sure doesn't remember it that way, however. The point of using that trip in the project was to validate the changes we'd made to the cooling system. 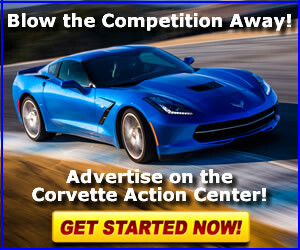 I figured--perhaps with some short-sightedness--that going to Phoenix in a Big-Block Vette in the middle of August would certainly test a cooling system. Needless to say, even with the temps pushing 120 deg on the run across the desert, at highway speeds and loads, the stuff we did to the car's cooling was overkill. We never saw temps over 190 on the road and 210 in traffic. As for the humans in the car, that was a different story. A no-air car on a daytime trip to Phoenix in the summer was brutal. We stopped twice to pour water over ourselves. We stopped several more times to buy Gatoraid. Windows down or up, it was hot....freakin' hot, hot, hot. My Wife will never go on a "project car cooling trip", again, that's for sure. Several times since then, the cooling mods proved valuable. 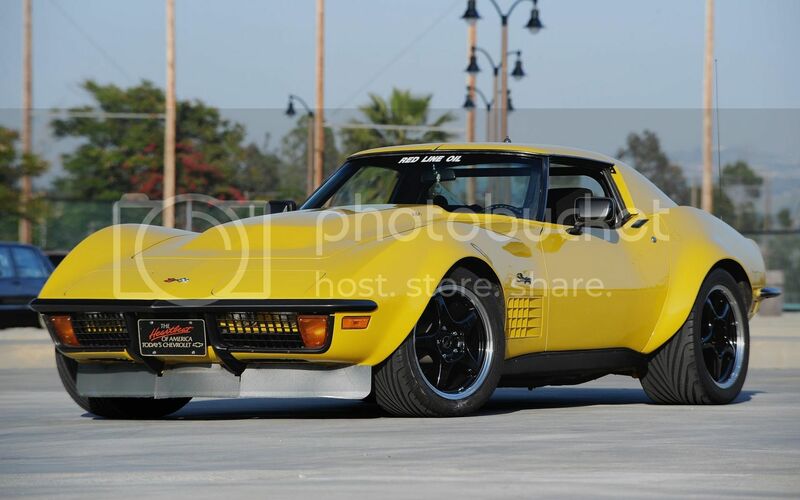 There was a time, when I still belonged to the Pomona Valley Corvette Association, where I did 4th of July Parades in that car with some local dignitary riding on the halo bar. This event was always held in Ontario, CA, which can get pretty hot on July afternoons (say low 100s) and required driving at 0-5 mph for about an hour. I did that twice in "Ole YT" and never saw over 205 degrees on the temp gauge. Yup. We did the NCRS road tour to Galveston TX in 2001(?) from Montreal in my non-AC coupe. Round trip was over 5,000 miles all told in the middle of summer. Sitting in grid locked traffic in well over 100* temps is a test of just about everything. One of the guys from the Louisiana chapter gave us a pair of clip on pressurized misting spray bottles that sort of acted like swamp coolers which helped tremendously. Nonetheless, we consumed almost as much bottled water as the car did gas. After 31 years I would have a hard time selling, especially with memories like those. Good luck with the sale, hopefully she'll find a good home. Such a beautiful ride deserves it. I've decided to sell my 71 Big-Block hot rod. I've owned the car for 31 years and done just about every mod on it myself. Why am I selling something so dear to me? Well...chalk it up to a toxic combination of: the Great Recession forcing me to sell some assets for cash, that my Wife and I need some of that green for a home remodel we are just about to complete and that this remodeled home has less space to park Vettes. I took a hard look at our "fleet" of four and decided this was the one to go. 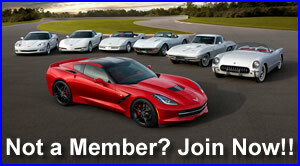 WOW - Great L@@king Vette, I hope you get what the Beast is worth! 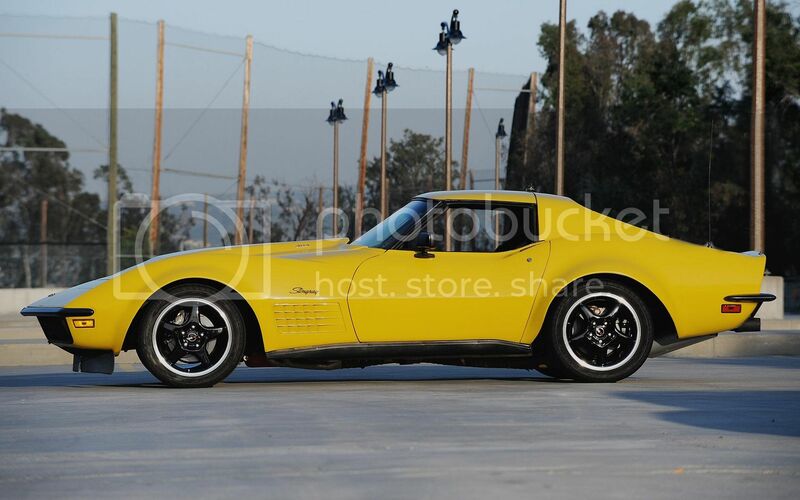 Hib - Thanks for the high rez shots of this awesome Vette! You're welcome, but actually those are big images at low res for your wallpaper. Feel free to give that stuff to others who want YT wallpaper images. Because they're 96 ppi and pretty compressed they'd make pretty crappy enlargements for wall art but they do ok on a monitor the size you have. Here they are for all to enjoy! Wow! That is one Beast indeed. I think that the price is very fair as well. What better than to purchase a sportscar to which everything has been done. Watch out for the craig-list effect. It tends to draw some rotten folks out of the woodworks. I feel for your situation and the hard decision you had to make. We're with you in support. You might want to bring it to the Plastic Fantastic show here in San Diego on Sunday the 16th. Probabaly get some good interest there. If I had room in my garage I sure would be tempted. 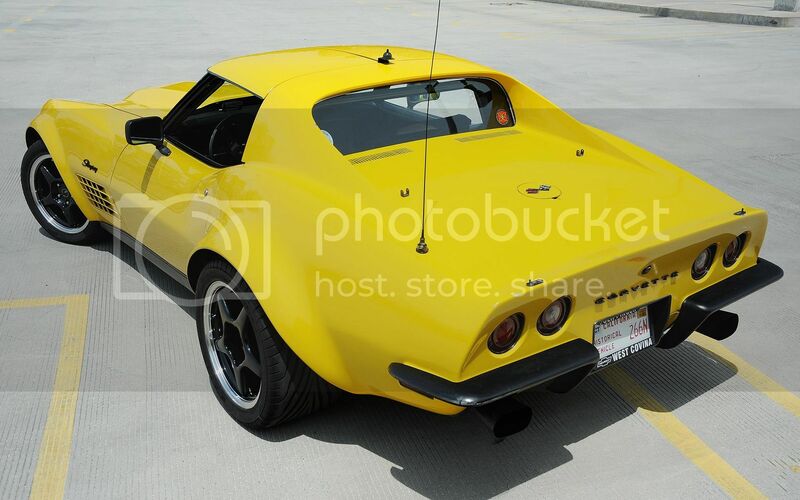 64 Corvette - Sell Together or Part out?